Provide comfort for the family of Judy Hanscom with a meaningful gesture of sympathy. HOLDEN -- We looked forward to the many trails remaining for us to hike, mountains to climb, and adventures to be enjoyed together, but time ran out for my beloved wife and best friend just days short of her 72nd birthday. It is with profound sadness that I inform that Judy E. Libby Hanscom, of Holden, passed away Saturday evening April 6, 2019 at home, in the loving arms of her husband Rodney, following a tough two-year battle with a rare abdominal cancer. She fought hard, maintained a remarkable sense of humor, lived each day with dignity and grace, shared memories with visiting family and friends, and true to her nature remained active in our daily life – planning, organizing, maximizing her time and living to the fullest every hour of her “journey” until its very end. Judy was born April 17, 1947, in Dover-Foxcroft, the daughter of the late Galen C. and Joy (Kirkpatrick) Libby, and lived in Dover-Foxcroft during her pre-school years, Lincoln during elementary school, and Brewer during high school. She was a 1965 graduate of Brewer High School. She was an alumna of the University of Maine in Orono, where she earned a B.A. (mathematics, 1969), a B.S (human development/home economics education, 1977), and an M.S. (human development), 1980. Her career as a family and consumer sciences professional included more than 30 years developing and managing educational services and marketing initiatives for the utility industry, higher education and nonprofit organizations. 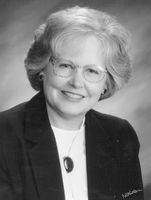 She retired in 2016 from the University of Maine Human Development and Family Studies program, where she taught courses in personal and family finance, family resource management, family legal issues, and caregiving in families. Her major volunteer interest was Penobscot Valley Senior College, for which she served on the founding Steering Committee and later in several capacities, including two terms as the PVSC president. When health and work schedules allowed, Judy and Rodney took advantage of the “learning for the fun of it” opportunities offered by PVSC. As residents of Holden, Judy and Rodney found it the perfect home base for frequent hiking, sailing, camping, and other outdoor adventures. In her 60s and never an enthusiastic athlete, she embarked on a quest to climb as many named peaks on Acadia National Park as she could. Before health interfered, she climbed 23. That endeavor influenced her outlook on life in ways she never imagined: Sometimes we have to back up and start over; and sometimes the journey is more important than the destination. Judy and Rodney had a wonderful, adventurous and fun-filled life together, benefitting from lifestyle choices made early in their marriage which gave them the freedom to go wherever and whenever they wanted. Together they explored much of Maine, northern New England and the Canadian Maritimes, paddled Maine’s waters, sailed most of the coast of New England, camped at several state parks (particularly Cobscook Bay State Park and Baxter State Park), and traveled to several interesting and intriguing destinations including Scotland, Ireland, England, Alaska, the Canadian Rockies (by rail) and the Yucatan, along with several vacations in the desert Southwest. Over the years they sailed aboard four Maine windjammers comprising a total of fourteen week-long voyages. Always interested in other cultures, Judy was an enthusiastic supporter of the American Folk Festival as well as opportunities to travel with Rodney, whom she considered her best tour guide. Other interests included needlework, reading, and attending theatrical and musical arts performances, especially those focused on other cultures. In addition to her husband of 50 years, Judy is survived by her brother John Libby and wife Nicole, brother-in-law Gary and wife Phyllis, brother-in-law Kenneth and wife Cathryn, nieces Wendy, Megan, and Kate and their families as well as nephews Brady, Chris, and Ryan and their families. She is also survived by former sister-in-law Signe Bowker; aunts Sue Marilyn Libby Moore and Eva Kirkpatrick; uncle Kent Libby; a group of close, boisterous friends from college known as The Cluster; and many cousins, friends, colleagues, and neighbors ready to lend a hand. Honoring Judy's request, there will be no funeral service. Interment will be at Woodlawn Memorial Park Cemetery in Brewer at a later date. In Judy’s memory, please plant a tree, volunteer in your community, and seek understanding of other cultures. If you like, contributions are welcomed by two of her favorite causes: the American Folk Festival, P.O. Box 1206, Bangor, Maine 04402, and the Holden Land Trust, P.O. Box 398, Holden, Maine 04429.